This week, I had some free time and decided to pop into Priceline to take advantage of the sale they currently have on! These are both my current favourite face wash and make up remover. The face wash leaves my skin feeling very clean, refreshed and hydrated, and has a very pleasant, fresh scent. I use it thinned with a little bit of water as a face wash on a daily basis, and occasionally as a scrub and mask. I definitely recommend it for people with oily skin! The makeup remover does a fantastic job of removing everything, even waterproof eye makeup which I wear a lot of. It doesn't leave that oily residue on your skin, which I love, and is very gentle and light. I've been wanting to try a new moisturiser for quite a while and have heard lots of good things about this, so I decided to give it a go. So far, I'm really liking it! I only use about one pump any one time and it's enough for my entire face and neck. It's very light and quickly absorbs into the skin, leaving a really subtle, pleasant scent. My T zone doesn't become too oily until a few hours after using this, which I don't really mind. 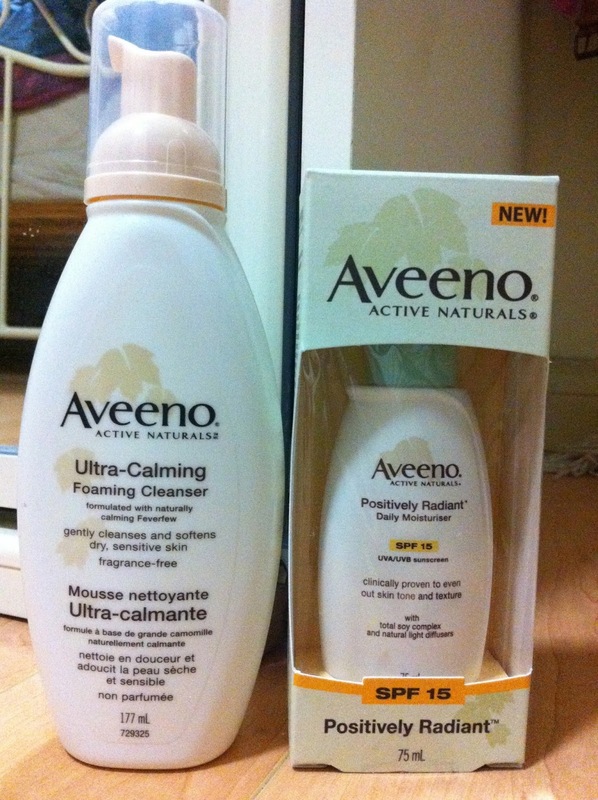 The cleanser was a free gift for spending over $15 on any product in the Aveeno range. So far, I'm not a huge fan of it, simply because I prefer my current face wash so much more. It definitely is gentle... way too gentle. 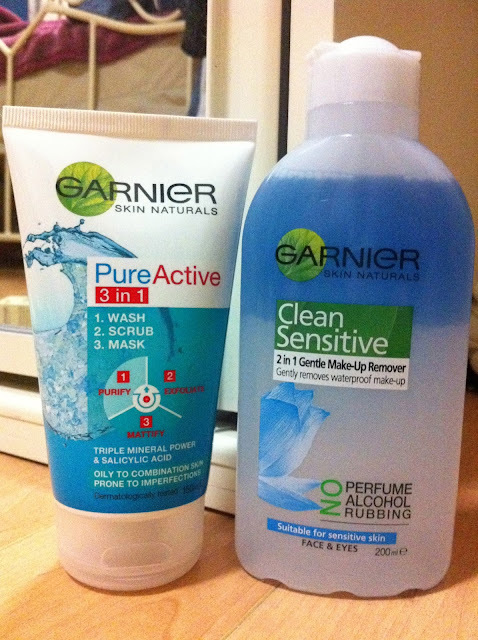 I think I would use it when I break out and my skin is much more sensitive, but for now, I'm sticking with my Garnier. 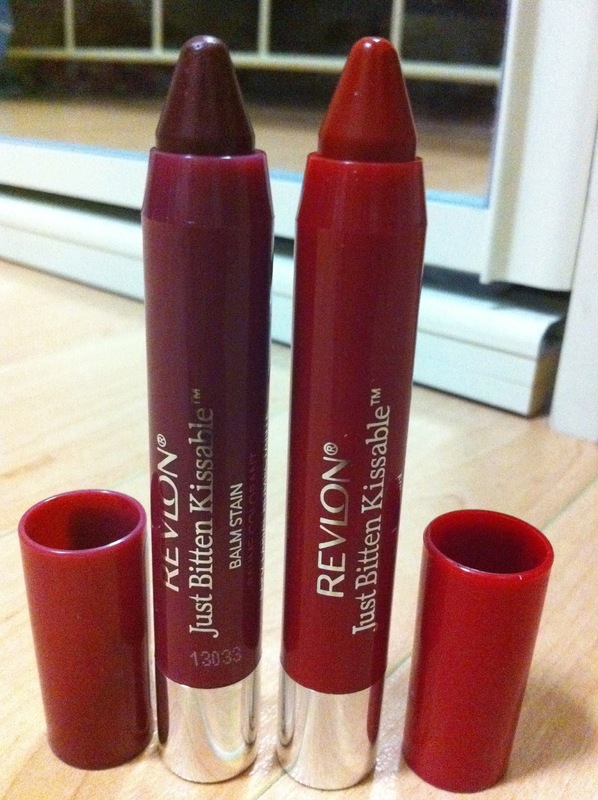 HOLY GRAIL LIP PRODUCT, RIGHT HERE! I adore these and will never pass up an opportunity to grab some more. I was so excited to see that there was a 2 for 1 deal on these so I picked up two more shades. Crush is a plum-y red colour, perfect for autumn but I will make it work all year round! Romantic is a lovely, bright red, which I think will look gorgeous on most skin tones. I definitely recommend the entire range of these stains! I saw the precision eye lash curler and decided that I just had to try it! I've found that it does a decent job of curling the pesky outer corner lashes, but you have to be super careful using it or it might pinch your skin! I would recommend this for people with small eyes or short, straight lashes. Just be mindful to curl at the root and middle of the lash so it appears more natural. My sister has a formal coming up so I picked out these lashes for her. She has very short, straight lashes, so I thought that this would look the most natural and flattering on her eyes. I've heard lots of good things about Ardell lashes so hopefully they're as good as I hope they are! This weekend, my friend Angela and I visited Priceline and Chemist Warehouse in Myer, Rundle Mall and I made just 1 purchase at each after telling myself that I did not need anymore makeup (oops...). Yes, another Revlon stain.... I just can't help it! Angela and I both bought this one so we only had to pay about $9 each! We both love it. The colour is a pretty, bright pink, perfect for Spring and Summer! Chemist Warehouse has been having a 50% off Revlon, Rimmel and Maybelline sale which is finishing soon, so I picked up this dark, berry red lipstick. If anyone is familiar with the British youtuber 'Zoella', this is the red lip stick that she often wears! It is such a gorgeous colour and has fantastic staying power. I'd definitely recommend it! If you need to stock up on any beauty or skin care products, I highly recommend you do so as soon as possible! The Priceline sale ends on Monday the 23rd of September and the Chemist Warehouse sale will be ending very soon, too.